This page is for cats bred by Wicca Cats. I will be putting photos of studs I have used in my breeding programme for Siamese and Savannahs on this page and the offspring they have produced. This is Denson Tristan Farnon. He came from Pamela Sharp Popple at Felixstowe. He is a tall cat, very elegant with a good quality coat. He was bred to wicca Akira and wicca Sui-Lei and they gave me wicca Yoko and wicca Sui-sui who are on my queens page. This is Purmisqus Prairee Oyster, owned by Mandy Mosby at Hastings. 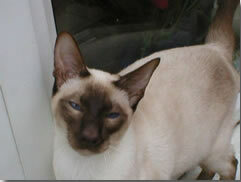 Mandy has been a siamese breeder for many years and now breeds the traditional siamese. (Omar) is the grandfather of wicca Yoko and Sui-sui. Again, a lovely elegant cat who has helped produce the cats I have today. 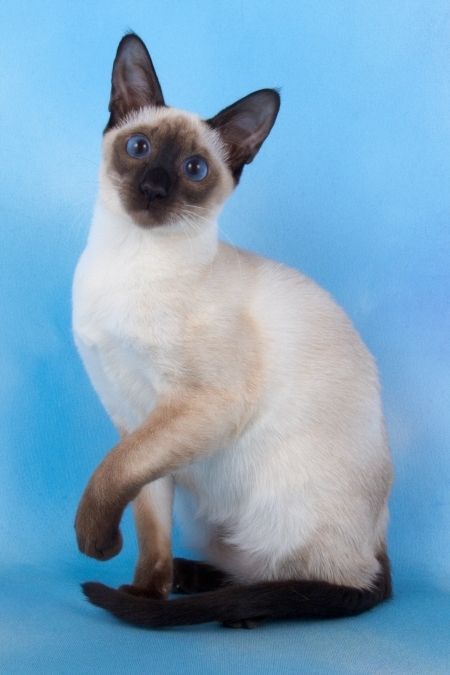 Another stud that I have used is Cymbeline Kalanisi, an old style seal point boy owned by Lorri White in Sussex. Unfortunately I do not have a photo of him. This is Wicca Clyde. He is a non standard F3c Savannah red boy. He is by Limo Togo out of Demdar Amber. Amber is a Torbie F2b that can produce Torbie girls like herself, red or ginger boys like Clyde here, or, standard brown/black girls like his sister, Wicca Bishara who is listed on Spottydreams website. Clyde is a very large boy with endless legs. Not everyone can afford to pay for a standard colour pet, Wicca Clyde is a F3c, infertile. but a wonderful typey Savannah with all the personality and size, but at a fraction of the price of the standard colour. At Wicca I place all my cats in the homes suitable for them.